Clients know that everything will be taken care of when working with Sally Lurie. In addition to having an outstanding reputation for marketing distinguished properties, extensive training and a broad knowledge of the local market, Sally is the critical resource for marketing properties. Sally's success is in part due to a keen ability to coordinate the details of today’s sophisticated transactions and direct a strong team in all areas – from financing and one-stop-shopping, to the latest online marketing tools. 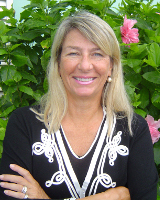 Sally Lurie has an established record and is known for discretion and privacy when representing valued clients.